HandBrake is a free and open-source transcoder for digital video files, originally developed in 2003 by Eric Petit (a.k.a. "titer" from his SVN repository username) to make ripping a film from a DVD to a data storage device easier. Since then, it has undergone many changes and revisions. 2. Run Handbrake, put your DVD in your DVD-ROM and you will see the interface as below, click File to select your source DVD from disc or computer. 3. After selecting, you will enter a window as below. Here you can select your Output Settings as MP4 because iPhone 7/7 Plus does not support MKV file format. 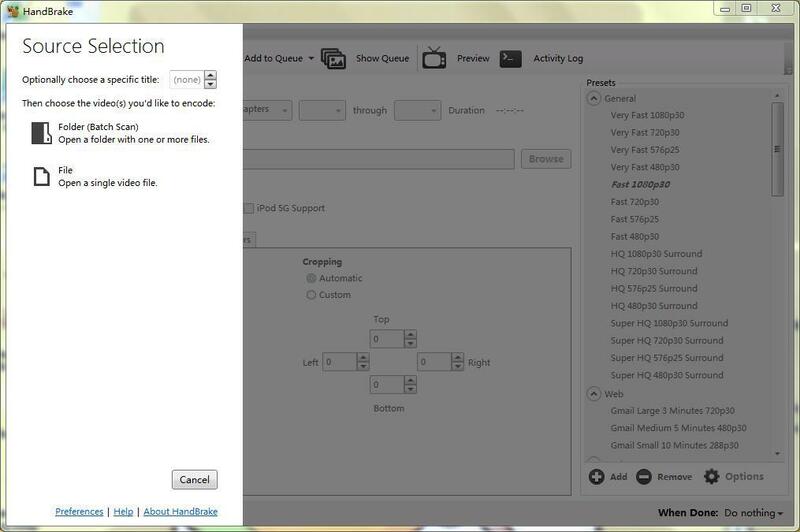 You can also click Presets on the left column to choose the video format. Click Browse to appoint where the converted video will go. 4. Click Start Encode on toolbar, while encoding, you can terminate the encode process by clicking Stop or you can click Pause for a temporary stop. You can see the Encoding progress at the bottom. 5. You can go to your appointed Destination to check your video after Queue finishes. 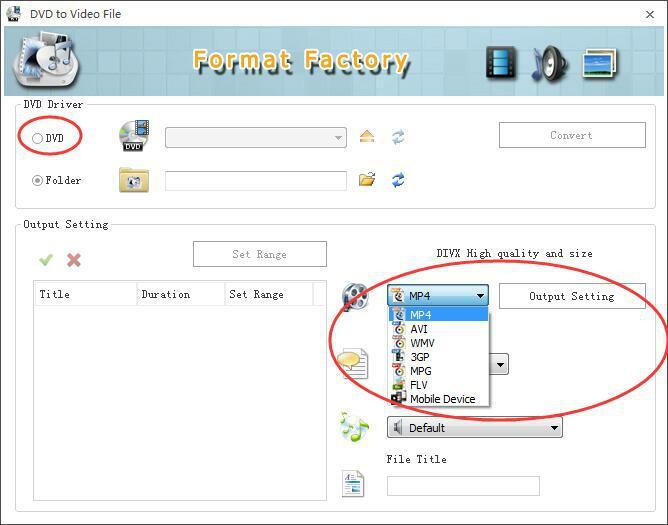 Format Factory is an ad-supported freeware multimedia converter that can convert video, audio, and picture files. It is also capable of ripping DVDs and CDs to other file formats, as well as creating iso images. It can also join multiple video files together into one. 1. Download Format Factory on the website. 2. You will see an interface as below. Select ROM Device\DVD\CD\ISO and click DVD to Video File to convert. 3. After you put in DVD in DVD-ROM, click DVD button or you can click Folder to select your DVD source. 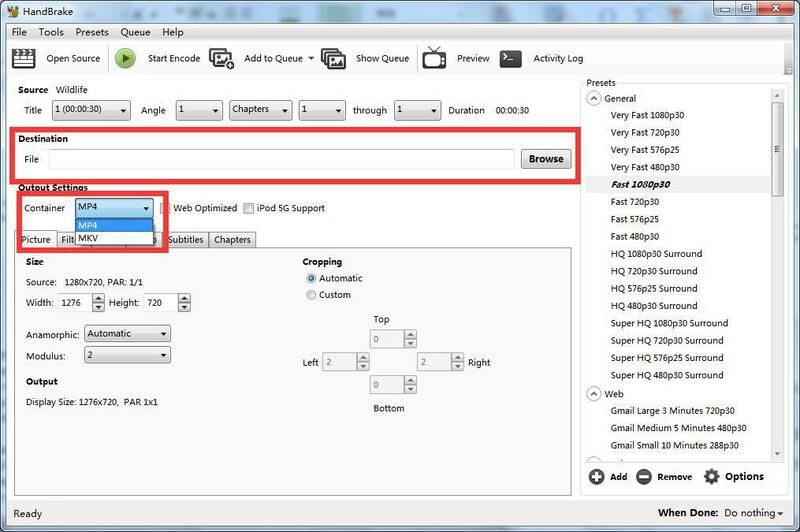 Choose Output Setting to select which file to transfer and edit the source DVD. 4. Click Convert and it will automatically return back to main interface, click Option on it and select output directory in the pop-out window, go back to the main interface, click Start. Leawo DVD Ripper is a professional DVD to Video Converter for you to rip, backup, edit and convert DVD to video in variety of formats like MP4, WMV, MKV, FLV, MP3, AAC, M4A, RMVB, F4V, etc. Leawo DVD Ripper is an excellent tool to rip DVD to video file in all popular video formats. ☉ Convert DVD disc to 4K MP4/4K MKV, for multiple 4K players. 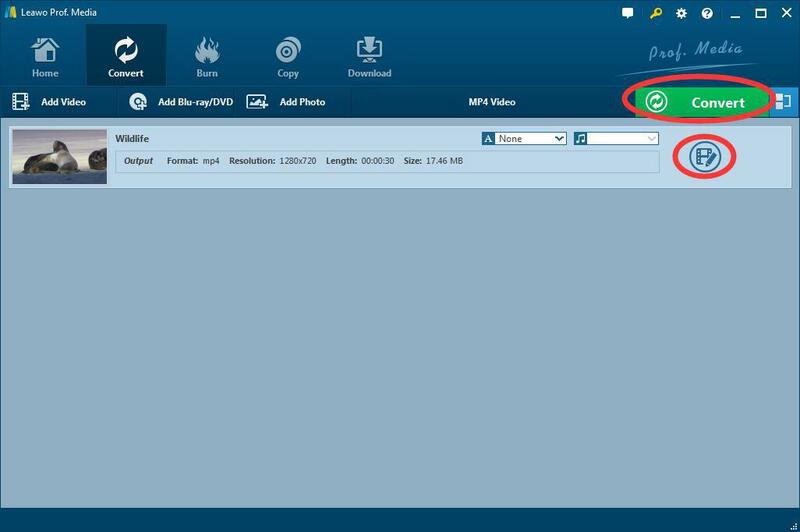 ☉ Convert DVD to MP4, MKV, AVI, WMV, ect. popular formats. 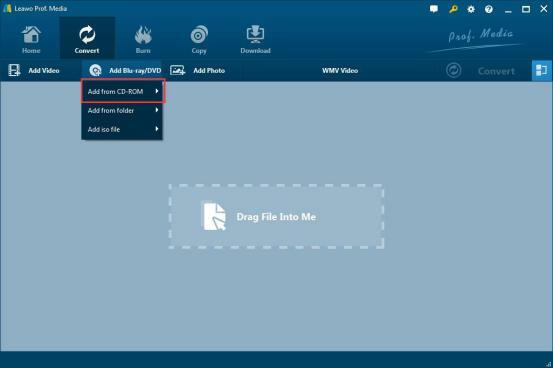 ☉ Customize DVD videos at will with powerful editing functions. ☉ Convert 2D DVD to 3D movies for more pleasure. ☉ Fast conversion speed with NVIDIA CUDA acceleration technology. How to Rip DVD to iPhone 7/iPhone 7 Plus Video? 1. Go to the website https://www.leawo.org/dvd-ripper/ to download Leawo DVD Ripper and install it on your computer. 2. Select Convert to enter ripping process. Click Add Blu-ray/DVD and select Add from CD-ROM or Add from folder or Add iso file to put in your target DVD sources. 3. Click button next to Add Photo and then select Change option to select your output profile. Various options to be selected which will suit all your needs: MP4, avi, mkv, mov and so on. And mainly iPhone 7/7 Plus support MOV, MP4 and M4V, therefore you need to select MP4, MOV, or M4V as output format from Format > Common Video group, or directly choose from Device > iPhone 7. 4. Then you will see an interface as below, you can just start by clicking Convert at the top left or you can edit your DVD by clicking the little pen sited left leveling with your DVD’s name. You can edit it into 3D format or cut short or add some effect to it. It can do whatever under your need. 5. After clicking Convert, you are in a window which needs you to select which folder the video will be saved. 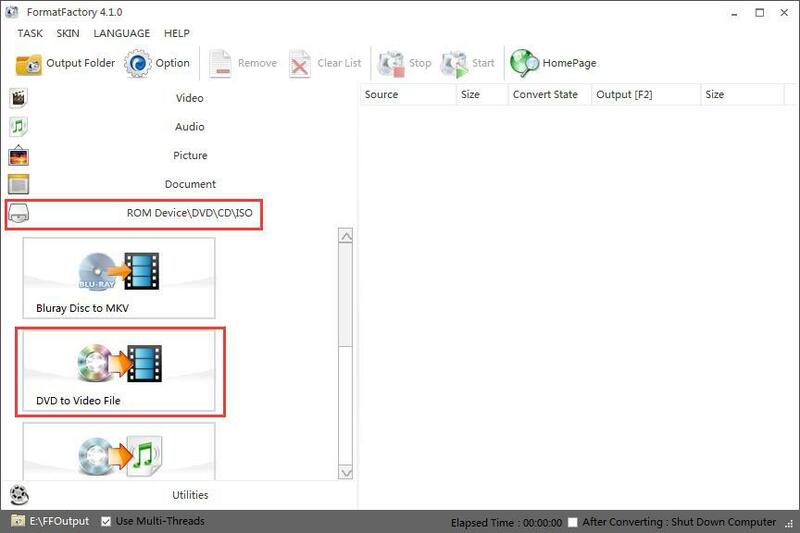 Click output directory or select target folder to choose which folder to save the video. Click Agree and Convert to start converting if you’re using the free trial version (Click Convert button to directly start converting if you are using the paid version). 6. It will take you a little while to convert DVD to iPhone 7/7 Plus video, wait patiently and after that, the process will be done. Click Finish and the video will be saved to your appointed folder. Go to the targeted folder for the DVD. It would be extemely easy for you to convert DVD movies to iPhone 7/iPhone 7 Plus with the abovementioned 3 apps. Obviously, Leawo DVD Ripper provides you the most fullfeatured functions. Actually, the former 2 apps can’t handle commercial DVD discs, while Leawo DVD Ripper could convert both commerical and noncommerical DVD discs. Leawo DVD Ripper could even output 3D videos in 6 different 3D effects. After converting, we need to transfer and copy DVD to iPhone 7/7 Plus so that we could freely watch DVD movies on iPhone 7 and iPhone 7 Plus. There are two tools we could use: iTunes or Leawo iTransfer. 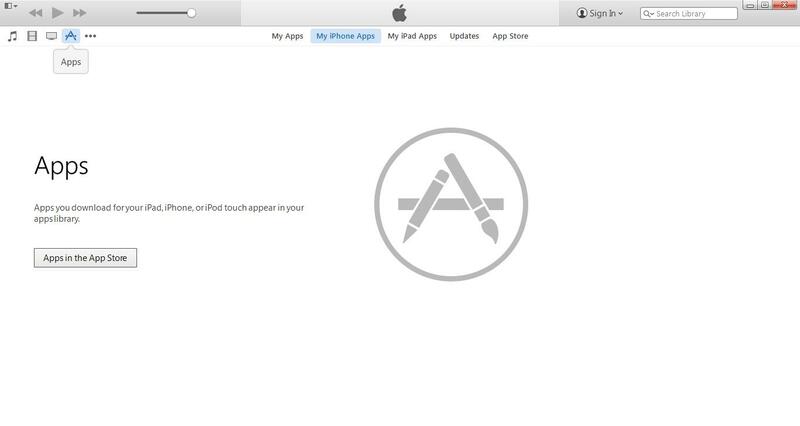 Download iTunes from the website and install. Connect iPhone 7/7 Plus to computer by USB driver, run iTunes. Click "iTunes > Library > Movies" tab on the left panel and then click the "File > Add File to Library" option to add converted DVD movies into iTunes. Open the "iPhone > Library > Movies" tab, then you will see a box named with "Sync Movies". Tick it and then select below what movies to sync. After that, click the "Apply" button. iTunes would automatically sync the converted DVD movies to iPhone 7 or iPhone 7 Plus. After adding DVD movies to iPhone, turn on the media player on your iPhone and you can watch the transferred movies on it. Why do you need Leawo iTransfer to transfer converted DVD movies to iPhone 7 or iPhone 7 Plus? iTunes would sync all converted DVD movies and remove the existing ones on your iPhone 7 or iPhone 7 Plus, while iTransfer won’t do so. It only transfers the files you selected. 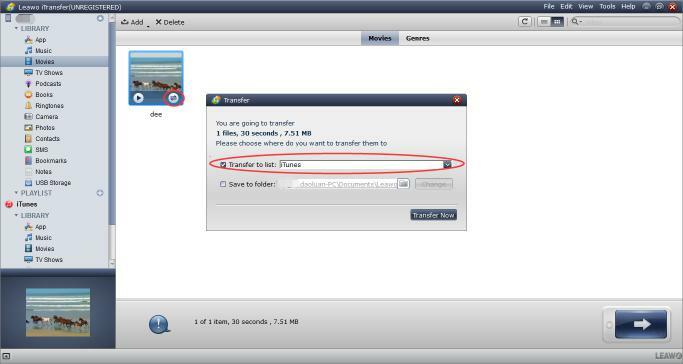 Leawo iTransfer is powerful and easy-to-use iPod, iPad and iPhone transfer software. It is used for transferring apps, music, movies, TV shows, ringtones, ebooks, photos and Camera Roll files among iOS devices, iTunes and PCs. Go to https://www.leawo.org/itransfer/ to download Leawo iTransfer. Connect your iPhone with your computer by USB driver, run Leawo iTransfer. 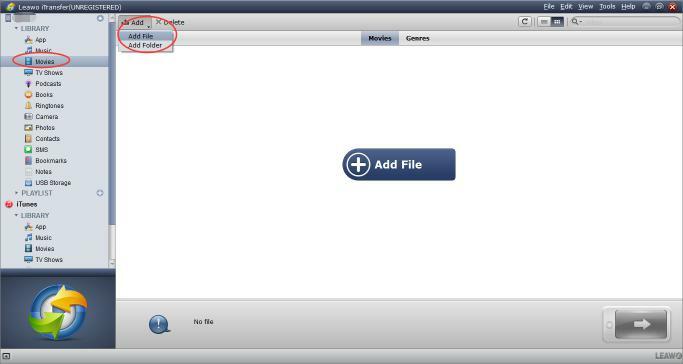 Click Movie in the LIBRARY list, click Add File or Add Folder or click the Add File button in the blank. Go to the appointed folder where you save the ripped DVD movies, select it and click Open. Click the icon circled and it will pop out a window guiding you where to transfer. Select Transfer to list-iPhone 7/7 Plus and then click Transfer Now. You can see the transferred movie on your iTunes, run iTunes and you can find the DVD movie on your Home Video.